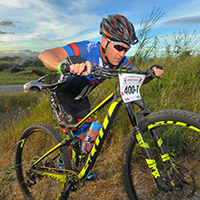 The Cradle Mountain Trophy is taking place at Maropeng in the heart of the Cradle of Humankind on the weekend of Saturday 6th and Sunday 7th April. This two-day mountain biking event promises to be an exhilarating experience. The Cradle Mountain Trophy promises a fantastic offering of single track, plus some challenging off-road, and of course some good technical aspects. But do remember that we are calling this the “Mountain Trophy” for good reason. It is not all flat. We will be making good use of tracks and trails which have previously been used for private events. As usual, Cycle Events will be managing the registration process, so you can register here today. The event will be an SA Seeding event, and riders will be seeded according to their SA Seeding Index.